Correctly setting up an early Ford rear end, or a quick change, is important for long life and quiet operation. 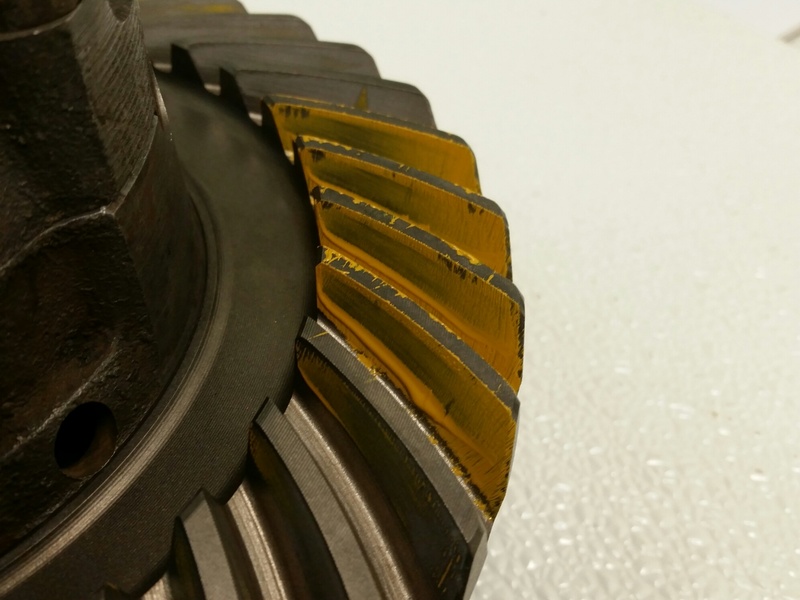 It’s important to get the proper bearing preloads and the correct lash between the ring gear and the pinion. It is also important to get the correct gear mesh pattern. This has to be checked during set up. 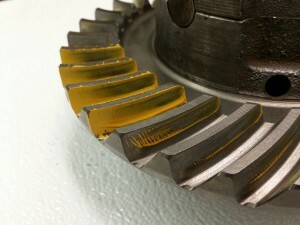 The pinion depth may need to be adjusted to get the proper pattern. We have found that sometimes shims need to be added or the pinion must be machined to get the proper pattern.Many “noisy” quick change rear ends aren’t noisy only due to the quick change gears, but are noisy due to improper gear mesh.The above pictures show a good pattern after adjusting the pinion depth on a quick change rear end.